What if Jim Bakker Is Right That the Ransomware Virus Is Part of Fulfilling End-Times Prophecy? I believe Jim Bakker is a prophet of God. After he went through his crushing failure at PTL and ended up in prison, he opened himself to the Lord in a new and deep way. One way he used his time in prison was to study the book of Revelation. Now Bakker says he believes the malware WannaCry worm that has infected computers in over 150 countries is actually a fulfillment of the prophecy in Revelation 6. When I talked with Bakker over the weekend, I told him this was important and Charisma needed to get it online. On Monday, Bakker gave us a scoop that we posted on charismanews.com. I interviewed him for a "Strang Report" podcast. It was so lengthy we actually broke it into two podcasts. You can hear him tell in his own words what he believes and hear the passion in his voice when he talks about why the body of Christ must wake up to what's happening in the world. I believe many Christians—as I do—struggle to understand Revelation, especially when talking about the four horsemen of the apocalypse. It seems that everyone speculates something different regarding what that means. All of us are aware this is a very serious time in our history, when many things seem to be spinning out of control. If you're like me, you basically have the option of listening to secular journalists—either liberal or conservative—give their spin on what's happening. But nowhere does the spiritual significance enter the discussion. So when Jim Bakker says World War III has already started but will not be fought as much with tanks and guns as it will be with computers and satellites, I sit up and take notice. I want to be like the sons of Issachar who were "those having understanding of times" (1 Chr. 12:32, MEV). Maybe Jim Bakker isn't right. But what if he is? How can we discern this? Where are the voices of other Christian leaders to help us understand the times, especially as it relates to end-times prophecy? Don't we all feel that something major is about to happen and that everything in history is culminating? Read what Jim Bakker has to say and listen to the podcast. Ask the Lord what you should believe and how you should respond. At the very least, we can pray as we discussed on the podcast. Prayer will change things. It doesn't matter if the secular community makes fun of it or thinks that it is just a lot of superstition. We know the spiritual realm is where things really happen. We also know that God is in control, that He has a plan and purpose, and that He revealed to the apostle John what would happen in the last days, which John wrote about in the book of Revelation. 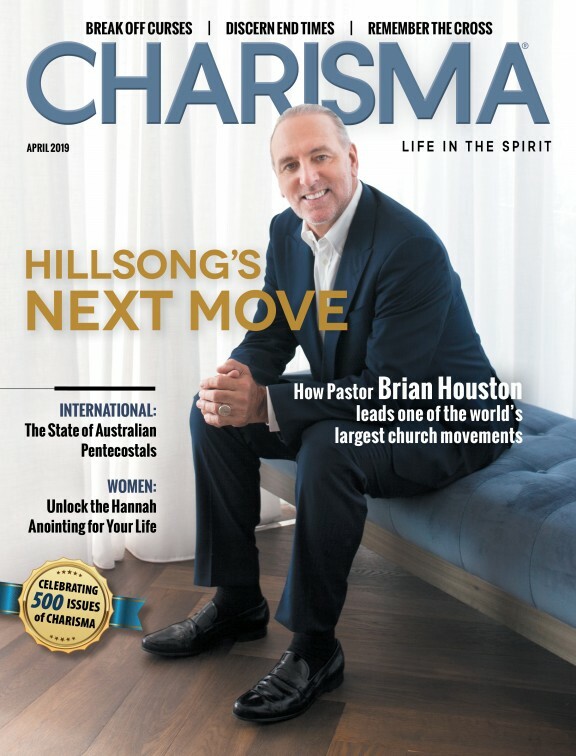 Share our Charisma News article and this podcast with friends, and let's spread the word among the body of Christ so people can understand, wake up and pray.